Last night and all day today we had a great Christmas. Thanks to everyone for all the great gifts. 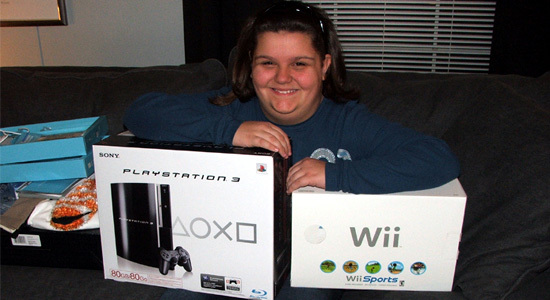 Here is Sarah with her new PlayStation 3 and Nintendo Wii. She's spoiled. Need I say more?